Woody the cowboy is young Andy’s favorite toy. Yet this changes when Andy get the new super toy Buzz Lightyear for his birthday. Now that Woody is no longer number one he plans his revenge on Buzz. 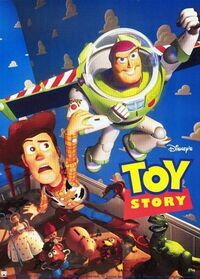 Toy Story is a milestone in film history for being the first feature film to use entirely computer animation.